Major label debut by the Northwestern indie-faves which finds the misanthropic guitarist/singer Isaac Brock focusing on life’s most important questions- death and the afterlife. The sprawling nature of their previous albums is now stripped down and focused- this is one case in which a major label contract has seemed to pay off artistically. The production is inventive with lots of backwards guitars & drums ala The Beatles during the “Revolver” era and the lyrics are intelligent and thought provoking. 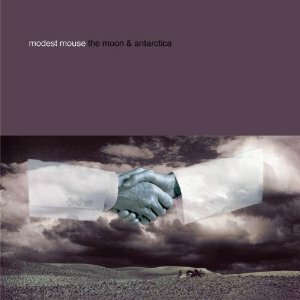 This is an incredible album which I am still trying to wrap my head around ten years later. It reveals itself more of itself with each listen. Sri Lankan born and London bred Maya Arulpragasam burst out of the gate with “Arular”- a hybrid of hip hop, Brazilian baile-funk, reggaeton, dance hall, Indian music, punk & house music. Her sound to my ears is the most unique new sound of the decade- along with TV On the Radio. Her songs are a mixture of in-your- face progressive politics (offending even staunch liberals at times) and fun, joyous music that gets you throwing yourself around the dance floor. As opposed to the esoteric, crate digging, I’ll-bet-you-can’t-guess-this-sample production by amazing producers like DJ Shadow, M.I.A. and her main collaborator Diplo wear their influences on their sleeves- in fact she shouts them out at the beginning of the album. “Arular” is a blast from start to finish and M.I.A. may end up being the most important figure in “World Music’ since Bob Marley. 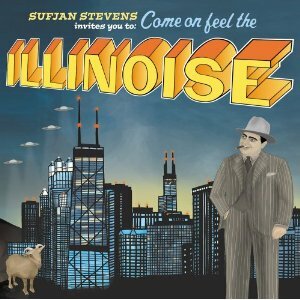 “Illioise!” is Stevens’ second concept album about an American state (his home state Michigan being the first) and we’re still waiting with bated breath for the other forty eight! The brilliant, shy Brooklyn-ite focuses his writing on events and people (both heroes and villains, fictional & real) who helped shape the character of the state of Illinois, the midwest, and America.. He sings and plays in a folky style but his music is quite complicated with very elaborate production. Elements from both rock & classical music are added as well as full orchestrations on many of the tracks. The lyrics and vocals are both intimate and empathetic and show Sufjan Stevens to be greatly humane and thoughtful about the world at large. This is a long album that requires a lot of its listener but the listen is well worthwhile- it’s an album you will continue to learn from and come back to again and again. 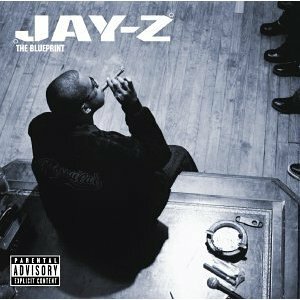 With “The Blueprint” (release date 9/11/01) Jay-Z cemented his status as not just the king of New York but the king of the whole rap game. To this day there is no rapper in the world that is more of a household name than Jay-Z.. “The Blueprint” contains one of Jay-Z’s biggest hit singles in “Izzo (H.O.V.A. )” as well as one of the best dis songs of all time in “The Takeover” (Nas & Mobb Deep bear the brunt of the slams). Kanye WEst put himself on the map as well by producing the majority of the album hereby introducing the world to his brilliant sped up soul samples. Every track on the album is killer- lacking the clunkers peppering all of Jay’s albums since “Reasonable Doubt”. Jay has still never bettered “The Blueprint” and maybe never will- “The Blueprint” will likely always stand as one of the all time classics of rap & hip hop. “Cookie Mountain” was an incredibly great leap forward after the very good but not quite classic “Young Liars EP” and the “Desperate Youths, Blood Thirsty Babes” debut album. 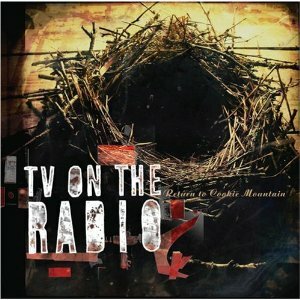 No band seemed to capture the sound of the new millennium and the depression and malaise of Bush’s second term better than TVOTR. Their songs are built on loops of noise and techno squalls by producer/band member Dave Sitek but counterbalanced by the gorgeous vocals of co-singers Tunde Adebimpe & Kyp Malone. As experimental as their sound is their songs somehow come off as accessible- like “Daydream Nation”-era Sonic Youth. Their lyrics deal in both the sexual and the political-often within the same song. This is a passionate, romantic band with an extremely unique vision. Every one of their future releases should be worth checking out. 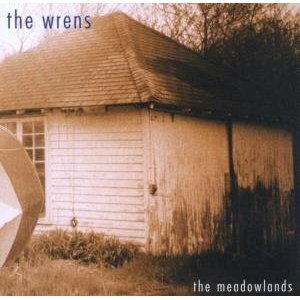 “Meadowlands” is the first album release in seven years and only third overall by this down on their luck band of thirty-something Jersey-ites. After their promising second album “Secaucus” in 1996 they were beset with record label woes of Big Star-like proportions, not even getting the rights to put that record back in print for over 10 years. Much of the band are family men with day jobs which inevitably slowed the pace for the making of the album. These guys are true believers in the power of music and it shows up in their songs which are also filled with sadness, hopelessness and desperation. Many of the tracks are first hand accounts of what they have gone through as a band. But there is no sign that they will give up- even though they seem resigned to never “making it” at least in the commercial sense. They won’t stop rockin’ because they just can’t help themselves- they are too in love with the music they make. This is an album for anyone with talent, intelligence, passion and the heart of a lion who feels knocked around and beaten down by the world but still unwilling to give up. The second and best release by the “band that will change your life”. 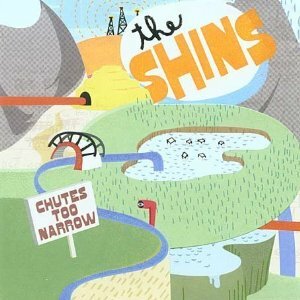 “Chutes Too Narrow” came out a year before the band’s profile was significantly raised with the big shout-out in the mega-successful (at least with twenty-somethings) movie and soundtrack “Garden State”. “Chutes” carries on with the same sunny but breezy (despite the band’s pacific nw location) indie-pop of their debut, but this album feels leaner with more killer and less filler. Lead singer James Mercer has a beautifully distinct high register voice that somehow almost recalls the Beach Boys and he is a wonderfully concise songwriter. The album is over in just over thirty minutes and you just want to play it again and again. The red and black duo’s third and best album release to date. “White Blood Cells” came at a tipping point of the return-to-rock revival led by the Stripes and the Strokes. While The Strokes oozed New York city cool, the Stripes have a much more stripped down, bluesy punk sound- with the band consisting solely of ex-husband & wife (and pretend brother & sister) Jack (Guitar & Vocals) & Meg White (drums) it’s tough to get any more stripped down than that. The album, however never gets boring or stagnant. They throw in furious garage punk stoppers (Fell in Love with a Girl), blues wailers (Dead Leaves and the Dirty Ground), touching, tender ballads (We’re Gonna be Friends, The Same Boy You’ve Always Known) and even country-tinged punkers (Hotel Yorba). 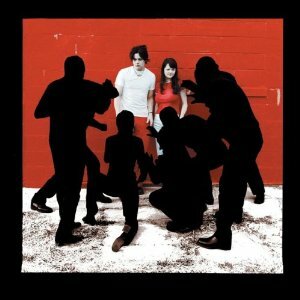 The Stripes are still always good for a handful of great songs per album release but “White Blood Cells” still stands as their finest moment. 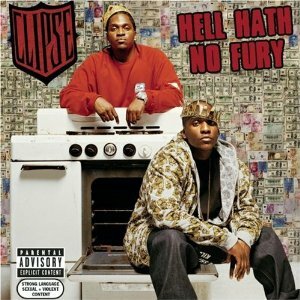 Over four years went by between Tidewater, Virginia based Clipse’s 2002 hit album “Lord Willin’” and their major label follow up “Hell Hath No Fury”. In between they released two successful underground mix tapes and were dicked around constantly by their record label. Despite being collaborators with fellow Virginia-based production team The Neptunes- who at the time were the biggest producers in the rap game (along with Timbaland), Clipse’s sound is uncompromising and not very commercial. The major subject of all of their rhymes is dealing cocaine which obviously could present a bit of a moral quandary for listeners. However, they don’t glamorize the drug itself but describe the highs and lows of the lifestyle around selling it. Listening to the album plays out like watching a really great gangster film- it’s celebratory, cold hearted and morally educational at the same time. Their slang and turns of phrase are compelling and the Neptunes bring some of their sickest & iciest beats to the album. 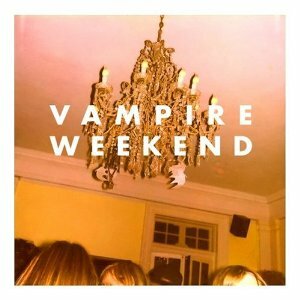 This likely gets my vote (just ahead of The Wrens) as the most underappreciated album of the decade- rap or otherwise. Upper-middle class Ivy League preppie New Yorkers (by way of Columbia U) release their debut album to simultaneous mega-hype and mega-backlash. Their musical chops are fantastic despite them being such a young, unproven band. Their main sound is a white liberal’s take on African pop (similar to what Paul Simon did especially on his “Graceland” album) with eighties new wave, particularly the Talking Heads, throwen in for good measure. Their appropriation of African culture along with their clean cut look, high class name dropping and usage of S.A.T. words have managed to piss off many. Denying this album is the moss of its detractors. It’s filled with fresh, amazing songs without a stinker in the bunch. The songs are catchy as hell- probably 2/3 of the album is filled with could-be singles and the characters and places mentioned are well sketched and extremely detail-oriented. Over two years after it’s released the record is still an absolute pleasure for me to listen to- the rare record where you never even want to press the skip button once.